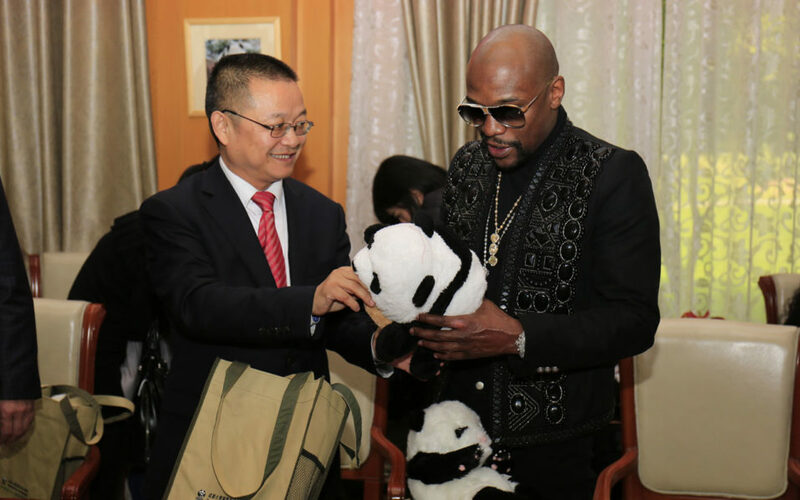 He hardly has a reputation as the cuddly type, but Floyd Mayweather displayed his softer side as he adopted a baby giant panda in China — and promptly renamed it “TMT Floyd Mayweather”. The 40-year-old American boxing star will, however, have to leave the panda at its home in southwest China and the 100,000 yuan ($15,000) adoption fee paid by him and another sponsor will go to the research centre where it lives. “TMT” is Mayweather’s brand, short for “The Money Team”, a nod to the vast wealth he accrued boxing and now regularly flaunts. Mayweather retired for a second time this year after stopping MMA star Conor McGregor to improve his record to 50-0. Chengdu Research Base of Giant Panda Breeding showed pictures of the visiting Mayweather admiring and feeding his panda an apple and taking a selfie. His adopted panda was born in July 2016 and was previously called “Maodou”, or soy bean. Mayweather’s donation allows him to visit the panda and have it called by the name he wishes for a year, as well as receive greeting cards “from” the animal. Mayweather is on a tour of China that is taking in Beijing, Chengdu, Shanghai, Hong Kong and Macau. 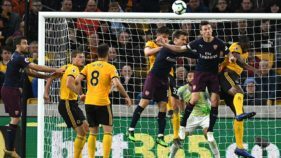 He has not made clear the trip’s purpose but implied on Instagram that he was being paid. “Coming here with 23 people has been a great experience and it doesn’t hurt to get paid $3,000,000 to simply visit and vacation here in luxury for a few days,” Mayweather said in a posting this week that accompanied a photo of him on the Great Wall.